Italian painter, draughstman and engraver. The son of Arcangelo Salimbeni (fl 156780/89) and Battista Focari, widow of Eugenio Vanni, he was first taught painting in his native Siena by his father, as was his half-brother Francesco Vanni, with whom he was often confused. Ventura possibly spent some time in northern Italy before going to Rome, where he worked from 1588, collaborating on the fresco decoration of the Biblioteca Apostolica Vaticana (the Vatican Library) during the reign of Pope Sixtus V (reg 158590). 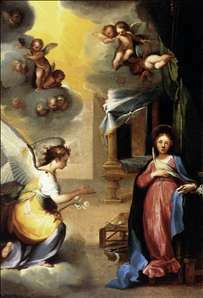 Salimbeni s painting during 159091, when he worked in Il Gesu and S Maria Maggiore, Rome, reflects the influence of the Cavaliere d Arpino, Cherubino Alberti and Andrea Lilli. The few engravings that Salimbeni executed were made in Rome. Of these, seven survive, dated between 1589 and 1594. In 1595 he returned to Siena where he became one of the last leaders of the Mannerist school, and completed painting cycles for Sienese churches such as Santa Trinita and Santo Spirito. He continued to create paintings for churches throughout Italy, including Assisi and Florence. For almost all of his painting cycles he first created detailed prepatory drawings.